Here is the podcast discussion this post. Click the pic and listen along as you read! A sift of FOAMed FOAMcc and POCUS gems. A great article worth looking through, outlining the utilisation of ultrasound in critical care. 10 points why it is a highly useful diagnostic aid to the critical care practitioner. thoracic anaesthesia patients are a challenge both intaop and particularly, postop. This article outlives the pitfalls and pearls of management of often quite twisted physiology! You’re not on Twitter…why not?!! This article demonstrates the power of what all of you already know about. Twitter acts as one of the most powerful webs of multiplicative resource broadcast to literally billions of people. Can you keep up to date with almost everything in your field in just an hour….almost! Water, water, water…that’s all we are really! Water is fundamental to everything….the fact we can’t survive long without it Vs food is a testament to this! Have a read of this highly interesting article on the historical ladder we have ascended in order to understand how good old H2O and our bodies are in harmony! Toad bladders to aquaporin channels…it’s all here! Everyone is petrified of Bad research! Have a read…another along the lines of ‘Carlisle’! This lovely editorial outlines the fact that there is an obsession with positive results! Negative results though are just as important. Terms such as the ‘file drawer effect’ and dissemination bias were relatively unfamiliar to me, but after sifting through the text, researcher behaviour becomes quite interesting! Get those great guidelines out for us all!! 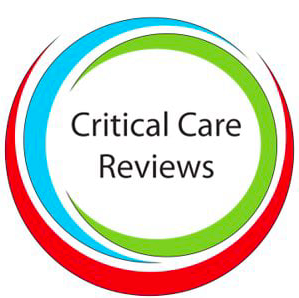 This article talks through how and why we disseminate great guidelines. Why hide quality? I had no idea this project existed until now but it oozes originality! Have a look here at another project magicproject. The process starts when the WikiRecs team identifies a new study that might initiate a change in practice. A guideline panel then convenes to determine which populations, outcomes, and subgroups to consider. A semi-independent systematic review team then quickly synthesizes all the evidence for all patient-important outcomes and subgroups identified by the panel. The panel considers the evidence in the context of patient values and preferences and makes a recommendation—either strong or weak—in favour of the intervention or the comparator. KCL…that stops your heart doesn’t it!?? A nice letter proposing something most of us wouldn’t dream of! But, is this the ritalin therapy for refractory VF….more research needed perhaps! Get them on the filter…early! An exciting area of research…well it is if you want to do as many projects into this area and eventually find a positive result i.e it decreases 28 day mortality? This article outlines just that in cardiac surgery patients. If you as much as sniff AKI in these patients, getting them onto early RRT within 24 hours offers a mortality benefit. We are about to commence a similar trial on our general ICU. STAART-AKI trial..STandard Versus Accelerated Initiation of Renal Replacement Therapy in Acute Kidney Injury (STARRT-AKI): A Multi-Centre, Randomized, Controlled Trial (Principal Trial). Look into the eyes…not around the eyes! More than half of the patients displayed signs of retinal pathology, including fluorescein-leaking retinal micro-aneurysms, vitreous hemorrhages, and other retinal hemorrhages. These findings were bilateral in 75% of the affected cases. Ocular hypertension was present in 16% of all septic patients. Food for follow up, or more ‘eye opening’ research! We all set these, but are we practising what we preach? This article looked at neurocritcal care clinicians, 868 in total and what their transfusion triggers were in acute brain injured patients. Seems half stuck to 7-8, but the other half varied it according to specific clinical scenarios. Most respondents agreed that a randomized clinical trial was needed to compare two different Hb thresholds for RBC transfusion, particularly in patients with traumatic brain injury, subarachnoid hemorrhage, and ischemic stroke. Really interesting concept…take your critically ill patient, give them 500ml ringer’s lactate and track it’s clearance. This is a feasibility look at whether this is possible…and it is. Cue medical company race to produce the kit!! Should we follow all of this goal directed therapy lark!? Well, it appears so! This has long been debated, and in the light of the rather negative press on EGDT trials in sepsis, it brings refreshing results. We are about to commence the FLO-ELA trial at northampton looking at this area in emergent laparotomies. Permissive hypercarbia, now permissive hypotension? Well…seems pushing beyond 70 is pointless really. But…the 65 Trial may enlighten us as to whether even >65 is overkill in certain patient sub-sets. Who could predict?! Various people is the answer! This is a good study looking at how good we are at reading the crystal ball with our patients. It’s an area many of us get rather uncomfortable over, as relatives often ask the burning question…how long do they have etc etc. This focusses down on various functional variables, as well as 6 month mortality. In cancer patients with septic shock does a restrictive vs. a liberal transfusion threshold reduce 28 day mortality? The good old 7 Vs 9 transfusion threshold was looked at in this patient subset. We saw the results of TRISS and TRICC and reports were that we should verge on the restrictive front. This trial demonstrated a trend in mortality benefit to the liberal group. Surprising! Adrian Wong has done it again and produced a fabulous update for us on ESICM Athens…all about heamodynamic monitoring. Brilliant stuff. Have a look through. Loads to read here. Do take a look.